Bubs was thrilled to bits when I told him about the open air cinema at Butterworth which is screening Despicable Me during weekend nights. He insisted that we make a proper picnic of it, "lots of snacks, Mummy!" I was feeling nostalgic too. My Mum used to tell me of her movie nights when they were growing up in Kelantan. A projector and a screen would be set up in a field and everyone would turn up with mats to sit. Hubs and I were well prepared. Mats? Check. Snacks? Check. Drinks? Check. Bug repellent? Check. USB fan? Check. It was such a communal event, people of all ages and races were sitting on the grass close to the screen. Thankfully, the weather was brilliant, clear skies with a touch of night breeze. 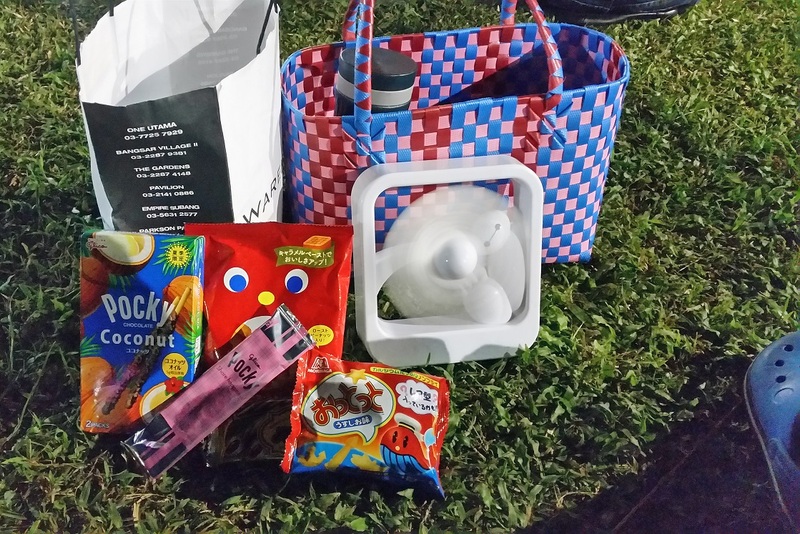 Bubs had so much fun with the "movie picnic"! 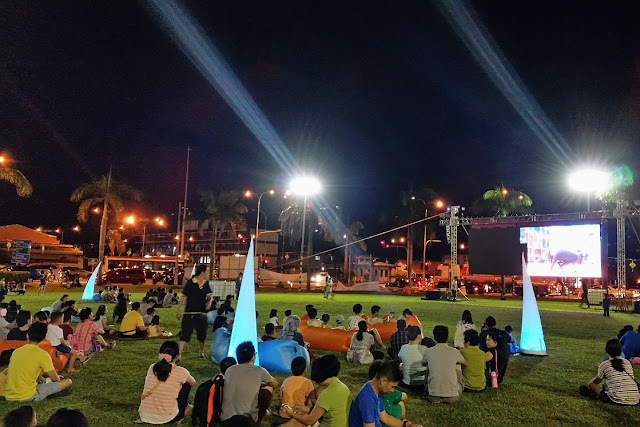 He enjoyed sitting under the moonlight, the sights, the sounds and got so engrossed in the movie that he was pretty agitated at some points when kids were standing up in front of him. We simply moved the mat, fan and picnic basket around to a clearer spot. 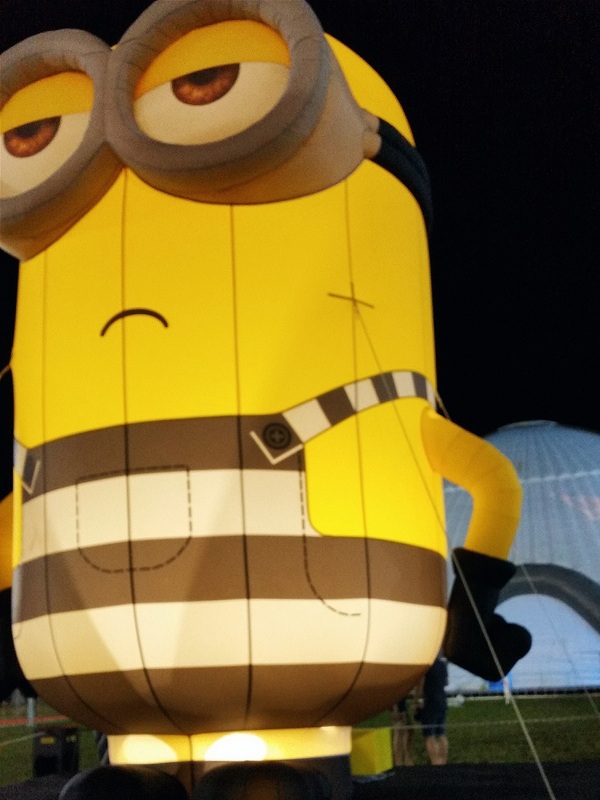 At the end of the movie, we had a quick walk around the field where Minion mania was in full swing. 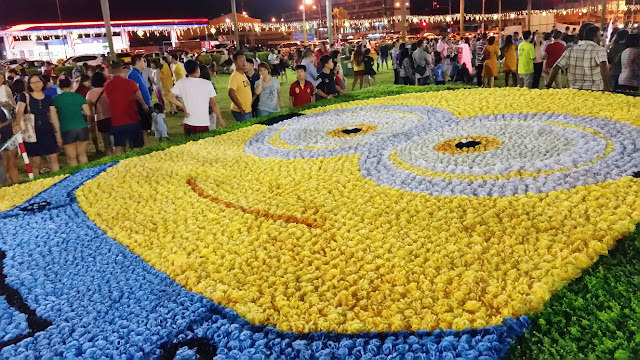 There was a cool gigantic minion shaped from artifical flowers on the ground. Plus an inflatable ginormous one that Bubs was fascinated with. Despicable Me and Despicable Me 2 will be screening at the Dataran Pemuda Merdeka, Butterworth every Fri and Sat night, from 8pm - 10pm. Parking can be around around the area and it's well lit with lots of people milling around. Admission is free.